“Vedi Napoli e poi muori” (If you have seen Naples, you can happily die”). This is the motto that comes to mind to every single Italian when they go and visit Naples for the first time! 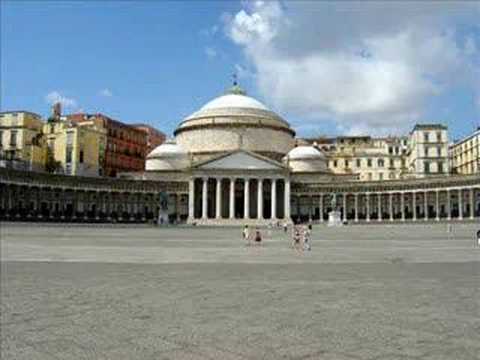 One of the favourite trip for British and German artists and wealthy bourgeoisie a couple of centuries ago, today also thousand of Italian and foreign tourists love coming in Naples for spending their holidays. 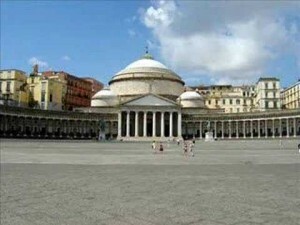 Naples and its folklore: an Gordian Knot impossible to cut! The Neapolitan are people who lives and works in an “artistic” way, full of legends attached to the main monuments and to the daily life. Tourism has increased in the city and visiting Naples means stepping across 2,500 years of history, art and architecture, an open-air museum which is a UNESCO world heritage site. Every single corner brings an incredible historic and artistic vision. Worthy to see the city Museums house collections of works of art and archaeological remains: it is one of the finest in the world. After a trip back to the past, we can also go to see the flourishing contemporary art galleries, located inside the glory of ancient buildings: in the city centre, you will find the PAN and the M.A.D.R.E. In Naples the mixture of different religions and races generated a long and stable tradition of cults, deeply rooted in mythology and nowadays still alive. The “underground” popular culture is well-known as the remarkable sign of being Neapolitan, but it is not as well known the mystery regarding the “real” underground “city” of Naples. This has been created alongside the one above ground. The volcano Vesuvius real protagonist in this story, together with the tuff, pozzolane, and rocks: the result of enormous eruptions were used by the people to build both the cities, i.e. the above city and the underground one. A number of underground cemeteries in Naples exist and they are mainly on the slopes of the Aminei hills and the Sanità-Vergini area. This is the zone traditionally called as the “Valley of Death“. But why the people chosed these sites? A valid answer is to be found in the quality of the tuff it is here: it was easier for them to dig out a number of large tunnels and extract building materials for the growing city in the past. They used it also to build natural underground water storage holes. The catacombs under Naples are well-known: the most famous one are San Gennaro Catacombs, with frescoes and mosaics, but interesting are also those of San Gaudioso. This entry was posted on Tuesday, March 29th, 2011 at 3:20 pm	and is filed under Discover Italy. You can follow any responses to this entry through the RSS 2.0 feed. You can leave a response, or trackback from your own site.